From blockchain technology to a galaxy far, far away, the latest round of Featured Speakers to join the 2018 SXSW Conference lineup represent some of the world’s most creative visionaries, dynamic storytellers, and industry trailblazers from the worlds of film, culture, music, and technology. Featured Speakers include internationally renowned chef José Andrés; Apple’s Senior Vice President of Internet Software and Services Eddy Cue; award-winning actress, writer, and director Lena Dunham; actor and writer Ethan Hawke; Star Wars VIII: The Last Jedi director Rian Johnson; entrepreneur and model Karlie Kloss; Waymo CEO John Krafcik; Oscar-winning director, writer, and producer Spike Lee; activist and technologist Chelsea Manning; executive editor of Recode Kara Swisher; Westworld cast members Evan Rachel Wood, James Marsden, and Jeffrey Wright; YouTube CEO Susan Wojcicki; and many more. Building on an impressive Conference lineup including our 2018 Keynotes, these Featured Speakers represent many of the developing trends expected to come out of SXSW this March. Add these compelling sessions to your Favorites on the SXSW Schedule to begin planning your SXSW adventure today. The only way to take part in this exciting programming is to register to attend SXSW 2018 – do so before Friday, February 9 for your final chance to save on the walk-up rate. Dive into our speaker lineup below and get ready to be inspired by these thought leaders and more during the 2018 SXSW Conference & Festivals from March 9-18 in Austin, TX. 60 MINUTES: TV’s Most Successful Newscast Featured Session (News & Journalism) – Hear the stories and the backstories about the original television news magazine that’s been the favorite of Americans for generations. What keeps 60 Minutes ticking on in its record 50th season? Find out in a frank, humorous, and insightful interview with its Executive Producer Jeff Fager conducted by 60 Minutes’s own Lara Logan. José Andrés and Dana Cowin (Food) – Named one of Time’s 100 Most Influential People and “Outstanding Chef” by the James Beard Foundation, José Andrés is an internationally-recognized culinary innovator, author, educator, television personality, humanitarian, and chef/owner of ThinkFoodGroup. Dana Cowin has been a tastemaker, talent scout, and innovator in media for the past 30 years. Her scope spans magazines, digital, social, books, restaurants, TV, video, radio, and events, as an influencer with wide reach in the food world. José Andrés and Dana Cowin will join Andrew Zimmern in conversation. Amber Venz Box (Startup & Tech Sectors) – Amber Venz Box is the President and Co-Founder of rewardStyle and LIKEtoKNOW.it. A digital style influencer herself, Amber Venz Box conceptualized and launched rewardStyle at the age of 23 as a solution to monetize her fashion blog, venzedits.com. Box has worked on all sides of the fashion industry: as a shop girl, an editorial stylist, a fit model, a retail buyer, and a jewelry designer. Her intimate understanding of the fashion industry, along with first-hand experience as an influencer, has helped to fuel rewardStyle’s global success. Eddy Cue with Dylan Byers (Startup & Tech Sectors) – Eddy Cue is Apple’s Senior Vice President of Internet Software and Services. Eddy oversees Apple’s industry-leading content stores including the iTunes Store and Apple Music, as well as Apple Pay, Maps, Search Ads, Apple’s innovative iCloud services, and Apple’s productivity and creativity apps. Cue also leads the newly created team responsible for developing all aspects of Apple’s worldwide video programming. Cue’s team has an excellent track record of building and strengthening online services to meet and exceed the high expectations of Apple’s customers. Dylan Byers is a Senior Reporter at CNN and the author of Pacific, a new venture on the business, culture, and politics of innovation that launches this March. From CBGB to the World: A Downtown Diaspora Featured Session (Music Culture & Stories) – Was it the sizzle or the steak — the fashions or the music, the images or the sounds — that made a tiny dive bar’s influence expand and persist in such an outsized way, even today? Was the abrupt shift in rock music styles in the late seventies and early eighties merely an idea whose time had come? Or was it, instead, individual, unique creative efforts — by members of the likes of Television, Talking Heads, Patti Smith, and the Ramones — that made all the difference? Featuring: Chris Frantz, Julia Gorton, Richard Lloyd, Chris Stamey, and Tina Weymouth. Lena Dunham in conversation with Samantha Barry (Entertainment Influencers) – Lena Dunham is an actor, writer, director, producer, and philanthropist. Dunham starred in and served as executive producer, writer, and director for HBO’s hit series Girls, which wrapped after six critically acclaimed seasons last spring. She has been nominated for eight Emmy Awards and has won two Golden Globes, including Best Actress for her work on Girls. In addition to continuing her involvement with “Lenny,” Lena has a number of film, theater and literary projects in the works for late 2018 and 2019. Samantha Barry is the editor-in-chief of Glamour, one of the biggest and most celebrated women’s media brands in America today, reaching one out of every eight American women. Barry oversees all content development, production, and consumer experiences for Glamour’s digital, social, video, and print platforms. The Female Voices of Film Twitter Featured Session (Film & TV Industry) – Fresh from the publication of her new book (Backwards & In Heels) chronicling the past, present, and future of women in the film industry, Fandango correspondent and author Alicia Malone will moderate on the importance of the female voice in film commentary and social media. Joining Malone will be some of today’s best and brightest female film pundits including Amy Nicholson (Variety, The Canon) and Monica Castillo (New York Times) who will provide advice for both aspiring journalists and filmmakers seeking to break into this industry to tell their stories on the big screen. Ethan Hawke (Entertainment Influencers) – Ethan Hawke is a Tony- and four-time Academy Award-nominated actor and writer, whose diverse career as a novelist, actor, director, and screenwriter spans more than three decades. Blaze is his most recent foray into directing, which he also wrote and produced with his production company Under the Influence Productions. His other directing credits include Chelsea Walls, The Hottest State, and the critically acclaimed documentary Seymour: An Introduction. His upcoming work includes Paul Schrader’s timely political and environmental thriller First Reformed. After the film screened at the 2017 Venice, Telluride, and Toronto Film Festivals it was acquired by A24 and will release it in 2018. Rian Johnson and Ram Bergman (Entertainment Influencers) – Rian Johnson is a director, writer and musician, among other things. His first feature film Brick was released in 2005 which received great critical and audience acclaim. Johnson has written and directed features Brothers Bloom and Looper. Having just released Star Wars VIII: The Last Jedi, Johnson is already writing his next independent feature. Producer Ram Bergman has fostered a successful partnership with Johnson, working together on four films over the last 15 years. Their collaborations include Star Wars: The Last Jedi, Johnson’s time-travel thriller Looper, as well as his earlier works The Brothers Bloom and Brick. Karlie Kloss, Guy Raz and Eric Liedtke (Social Impact) – It takes open eyes to see what we can change for the better and curiosity to dig deep. It takes creativity to turn ideas into action, and just a single voice to speak. We live in a world where the brands we love can help solve the issues we care about, and where one person’s story, shared at scale, can inspire a movement. Via this conversation with Guy Raz, discover how learning to code inspired supermodel and entrepreneur Karlie Kloss to launch a nonprofit that empowers girls to learn to code and becomes leaders in tech, and how adidas Head of Global Brands Eric Liedtke channeled the power of sport as a connector to change the industry so we can protect our oceans and world around us. Forward-facing and driven to create a better tomorrow, make your next move to be in it for good. John Krafcik (Intelligent Future) – John Krafcik is the CEO of Waymo, the self-driving technology company with a mission to make it safe and easy to move people and things around. Under John’s leadership, Google’s self-driving car project became Waymo, an independent Alphabet Inc. company. 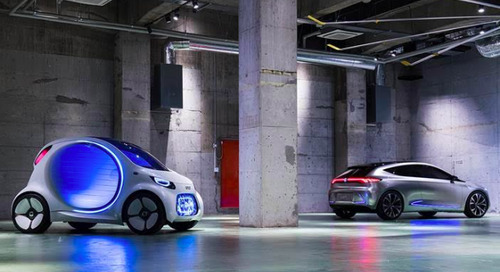 Since then Waymo has test-driven the world’s first fleet of self-driving vehicles on public roads without a driver at the wheel, completed 4 million autonomous miles, and struck up partnerships with Fiat Chrysler Automobiles, Lyft, Avis, and more. In 2018, Waymo will launch an autonomous ride-hailing network to the public, beginning in Phoenix, Arizona. Spike Lee (Entertainment Influencers) – Oscar winner Spike Lee is a director, writer, actor, producer, author and NYU Grad Film tenured professor whose body of work continues to grow. Recent projects include Lee’s filming of the play Pass Over, currently premiering at Sundance. He also directed the hit Netflix series She’s Gotta Have It, which will be returning for a second season, and has just finished principal photography on his latest project, Black Klansmen. Lee has directed and produced over 30 films since his first feature film, the independently produced She’s Gotta Have It. Lee continues to produce cinematic works of art that display his skill and ability to showcase outspoken and provocative socio-political critiques that challenge cultural assumptions about race, class, and gender identity. Chelsea Manning in conversation with Sally Singer (Social Impact) – Chelsea E. Manning is a technologist and network security expert whose actions have shown the power of individuals to change the world through bravery, conscience, and determination. She speaks on the social, technological and economic ramifications of Artificial Intelligence, and on the practical applications of machine learning. She is a vocal advocate for government transparency and queer and transgender rights as @xychelsea on Twitter and through her op-ed columns for The Guardian and The New York Times. Sally Singer is the Creative Digital Director of Vogue. In this post, which she has held since 2012, she oversees all content and creative direction for Vogue.com, social media platforms and partnerships, as well as original video production. Kara Swisher (News & Journalism) – Kara Swisher is the executive editor of Recode, the business and technology brand from Vox Media; host of the Recode Decode podcast, a bi-weekly interview series with the most influential business leaders; and co-executive producer of the Code Conference, a premier series that hosts hard-hitting interviews with the media and tech industry’s leading players. Swisher was also the 2017 SXSW Hall of Fame inductee. Kara Swisher will join a conversation with CNN chief international correspondent, Christiane Amanpour. Westworld Featured Session (Entertainment Influencers) – Cast members Evan Rachel Wood, James Marsden, and Jeffrey Wright of the HBO drama series Westworld will join show-runners and creators Jonathan Nolan and Lisa Joy for an inside look at the award-winning show, which will return for its second season this spring. Explore the full list of previously announced Featured Speakers, Keynotes, and more Conference programming on the online SXSW Schedule. Stay tuned for more programming announcements between now and March. Get inspired by these diverse visionaries and fuel your own creativity and career aspirations this March! Explore new opportunities during 10 days of sessions, screenings, showcases, exhibitions, networking, and beyond at SXSW 2018. With expanded access to events for all registrants, attendees will receive primary access to programming associated with their badge type but now also enjoy secondary entry to most other SXSW events. Register before Friday, February 9 at 11:59pm PT for your last chance to save on the walk-up rate. 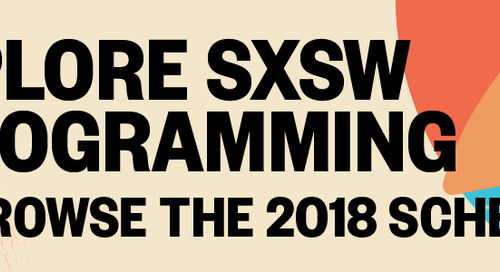 SXSW Conference programming is organized into 24 Tracks divided between Interactive, Film, Music, and Convergence, presented in a variety of session formats. Take the Tracks Quiz to generate the perfect badge for you. Make your hotel reservations through SXSW Housing & Travel for access to the best available rates and locations. After you’ve reserved your spot at SXSW, begin planning your SXSW experience. Browse through all confirmed programming for the 2018 SXSW Conference & Festivals on the SXSW Schedule and begin building your personal schedule. Download the SXSW GO mobile app to sync your online schedule with your mobile device so your info will always be up-to-date. Beyond the Conference, dive into the latest round of Showcasing Artists for the SXSW Music Festival and stay tuned for the full lineup of the SXSW Film Festival coming very soon to a SXSW News feed near you. 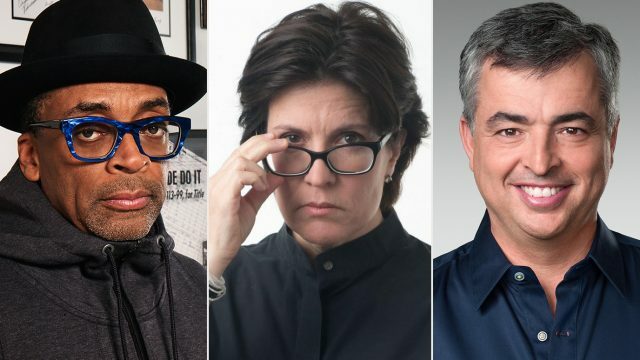 The post Announcing Featured Speakers Spike Lee, Susan Wojcicki, Eddy Cue, Kara Swisher, and More at SXSW 2018 appeared first on SXSW.